CAMP SEC. RUPERTO K. KANGLEON, Palo, Leyte – Eastern Visayas’ two most wanted criminals fall on police hands in separate manhunt operations conducted by the Regional Special Operations Group (RSOG8) of the Police Regional Office 8 recently. 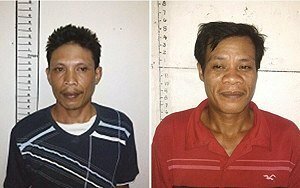 Wanted persons Samuel Magali Cuba, (left, in blue shirt) listed as the number 11 most wanted criminal of Alang-alang, Leyte and Francisco Goña Ortillo Jr., (right, in red shirt), No. 2 Most Wanted of Basey, Samar arrested by RSOG8 in separate manhunt operations recently on orders of Police Chief Superindent Elmer Ragadio Soria, PRO8 Director. Police Regional Director Police Chief Superintendent Elmer Ragadio Soria identified them as Samuel Magali Cuba, 38, listed as the number 11 most wanted criminal of Alang-alang, Leyte and Francisco Goña Ortillo Jr., 32, ranked 2 on the list of most wanted persons in Basey, Samar. “RSOG was activated not only to conduct police operations against all forms of illegal activities in the region but also to arrest criminals focusing on those included in the Most Wanted Persons list”, Soria said. Cuba is charged with murder and was arrested based on an arrest warrant issued by Hon. Judge Frisco T. Lilagan of Regional Trial Court Branch 34 in Tacloban City docketed under Criminal Case No. 2008-07-361 with no bail recommended. RSOG operatives led by Police Senior Inspector Dinvir Revita accosted him near his house at Sitio Manantas, Brgy. Dapdap, Alang-Alang, Leyte. Meanwhile, Ortillo, also charged for murder, was arrested by RSOG inside the Tolosa Cockpit Arena in Tolosa, Leyte while he was betting in a cockfight. An arrest warrant issued by Judge Agerico Avila of the Regional Trial Court Branch 30 in Basey, Samar was used by the police in arresting the suspect. Avila did not recommend any bailbond for Ortillo’s temporary liberty. It was learned that Ortillo transferred from Basey, Samar to Brgy. Camote, Dulag, Leyte after the perpetration of the crime and went into hiding for 3 years until he was finally caught. Both accused were turned over to the courts of origin for proper disposition, Soria added. The region’s top cop renewed his call for citizens to help the police arrest more wanted criminals in the region by providing timely information that will lead to the neutralization of the law violators. “We will continue to arrest wanted criminals as we move forward together in keeping our communities safe,” Soria said. QUEZON CITY – The Samahan ng mga Ex-Detainees Laban sa Detensyon at Aresto (SELDA) today welcomes with guarded enthusiasm, President Benigno “Noynoy” Aquino’s recent statements at the ASEM meeting in Laos to compensate victims of martial law. The human rights group clarified that not all of the $680 million Marcos Swiss deposit will go to the victims and that only one-third will be used for the compensation; and this is the equivalent of P10B. “We recognize that the money is for the Filipinos and that it must be utilized for land reform. We only asked for a small portion of Marcos’ ill-gotten wealth for compensation,” Enriquez stated. SELDA only wishes that the victims will no longer be made to wait more than they have already done. Furthermore, the human rights group urged the Senate to pass a bill that would reflect the voice of the victims and remove provisions inimical to the interests of the victims. SELDA has been lobbying for the Senate to revise and pass SB 2615. The Committee on Justice and Human Rights said it is still awaiting the comments of Senator Joker Arroyo on the bill before they submit it for plenary debates at the Senate. The House version was passed on March 21, 2012. SELDA Chairperson, Marie Enriquez, brought the bill’s status to the attention of the United Nation’s Human Rights Council in September as well as the Human Rights Committee in October both in Geneva, urging the said bodies to remind the Philippine government of its commitment to compensate the martial law victims. In her oral intervention at the September Human Rights Council session at the adoption of the Philippine UPR report, Enriquez “particularly took note of Switzerland’s UPR recommendation to compensate the victims of martial law” especially since the Swiss government has already transferred the US$680M Marcos Swiss deposits in favor of the Philippine government in 1997 yet. SELDA asserts that compensation to human rights violations victims like the martial law victims is a component of justice that is enshrined in the UN instruments as well as in the Philippine Constitution. Thus, the victims’ demand for indemnification are just and the portion of the funds that Marcos stashed in Swiss banks and have been transferred by the Swiss government rightfully belong to them. SELDA will be watching and will continue to press for the government to deliver on its promise. CAMP SEC. RUPERTO K. KANGLEON, Palo, Leyte – The Police Regional Office 8 is advising gun owners whose licenses have expired to immediately renew their licenses or face possible arrest and prosecution as it is intensifying the operation against loose firearms in the region. Police Chief Superintendent Elmer Ragadio Soria, PRO8 regional director, issued an ultimatum to gun owners with expired gun licenses to renew and avail of legitimate permit to carry and gun permit at home. “The day the license expired, the firearm is considered loose weapon. Individuals with expired firearm licenses must renew them or face the wrath of the law”, Soria said, adding that they may end up being targets of search warrants and face appropriate charges not to mention stiffer penalties especially during election period. Soria disclosed that notices are being sent to delinquent firearms’ holders advising them to renew their licenses on a specified date. If the notice is ignored, they will be forced to declare these firearms as loose weapons and apply for search warrants that will allow them to raid the house of concerned firearms’ holders and charged them with criminal cases in court. Records at the regional firearms and license division showed that there are 19,721 registered firearms in the region and 10, 025 firearms have expired licenses. 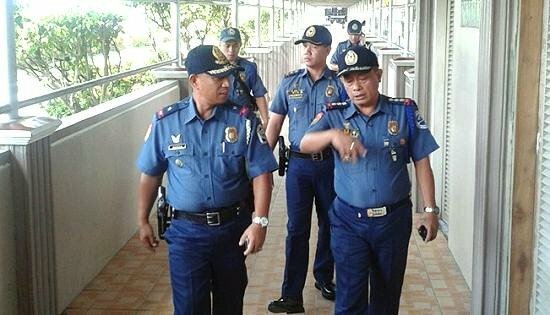 The PNP regional chief informed that PRO8 launched a reinvigorated campaign against loose firearms as contained in “Kontra Boga - Waray” as part of the operational plans to ensure peace and order during the 2013 mid-term elections. The plan reinforces existing gun control and proliferation measures and focused on confiscating and seizing firearms from criminal elements and threat groups through the stepped-up enforcement of checkpoints, “Oplan Sita”, “Oplan Bakal”, service of warrants and internal security operations. Soria added that this move to disarm potential troublemakers is part of their effort to have a Secure and Fair Elections 2013 (SAFE 2013), the PNP program to keep the elections safe and orderly and in support of the peace and order directive of President Benigno Simeon Aquino III in preparation for the 2013 midterm elections. Laying the groundwork for a SAFE 2013, Soria ordered police units to step-up operations to account for more loose firearms proliferating in the region to minimize violence during the May 2013 elections and urged gun owners to renew their expired licenses. “Gun ownership bears responsibility to possess with proper license and documents”, the region’s top cop added. Requirements for application for renewal of individual firearms license includes the photocopies of old firearm license; appointment/retirement order for government employees; subscribed application form with 2 pieces 2x2 picture with white background; Special Bank Receipt (SBR) from Land Bank of the Philippines showing payment for records authentication, gun safety fee, firearm license fee, surcharge and arrears if any; Order of Payment (OP) for ID Card, Firearms bond and reactivation fee and the Gun Safety Seminar Certificate. Applications may be filed with the Firearms and Explosives, Security Agencies and Guard Supervision (FESAGS) Office of the Regional Operations and Plans Division (ROPD) of Police Regional Office 8 in Camp Kangleon, Campetic, Palo, Leyte. Police Chief Superintendent Elmer Ragadio Soria (left), PRO8 Regional Director with officers of Northern Samar PPO during his inspection at Looc and Dapdap Ports in Allen, Northern Samar. CAMP SEC. RUPERTO K. KANGLEON, Palo, Leyte – “The regionwide observance of ‘undas’ or All Saints Day and All Souls Day, was generally peaceful," Police Regional Office 8 director Police Chief Superintendent Elmer Ragadio Soria said. "There are no major incidents reported during the period except in some cases wherein our policemen confiscated bladed weapons and liquors at cemetery entrances", Soria disclosed. Close to 5,000 policemen have been tasked to man Police Assistance Hubs and checkpoints aside from conducting foot and mobile patrol that ensured the safety of cemetery-goers while they pay their respects to their departed relatives, as well as commuters, he added. He credited this to the help extended by the police's force multipliers, among them members of different communication groups, anti-crime and other civic groups including the Barangay Peace-keeping Action Teams (BPATs) and barangay tanods which were mobilized to help lawmen maintain peace and order and direct traffic. The police official also thanked the media for the information dissemination to the public on the prohibition on bringing bladed weapons and liquor to cemeteries. Soria went around personally supervising the security efforts by his men and was impressed with the generally peaceful atmosphere, including the smooth flow of traffic. On Wednesday, the Regional Director went to Allen, Northern Samar to ensure security preparations at Looc and Dapdap ferry terminals while during the All Saints Day and All Souls Day, he inspected established checkpoints and Police Assistance Hubs in Catholic cemeteries in Brgys. Basper and El Reposo; Leyte Catholic Cemetery and Superior Memorial Park in along the Maharlika Highway in Brgy. Diit; Holy Cross Memorial Park also in Brgy. Basper and the Chinese Cemetery, all in Tacloban City. The Regional Director also inspected shopping malls and motorists' assistance centers in different parts of the city. While lawmen focused on security measures in cemeteries during "undas", Soria said policemen will now be tasked to ensure the safety of the public specially those who are leaving the region. These include employees and students who will head back to their work and schools, respectively, after the holiday, he said. PALO, Leyte – The Department of Energy is set to conduct at the Leyte Oriental Hotel on November 7, a consultation on the 2013-2030 Philippine Energy Plan. DOE Visayas Regional Director Antonio Labios through Ms. Lourdes Arciaga, the corporate information officer said that the DOE has formulated the 2012-2030 Philippine Energy Plan (PEP) to be launched in December 2012, in time for the annual celebration of the National Energy Consciousness Month (NECM). The Plan was formulated as the agency recognized that the long gestation periods of energy projects and investments, and that energy, as a valuable commodity, has a direct impact on the country’s economic growth. The PEP, by developing and utilizing renewable energy like hydro, geothermal, solar, wind, biomass and ocean energy, will highlight the policy vision of an economy which will become largely decarbonized. This, with the DOE taking the lead in promoting energy efficiency as a lifestyle, and advocating the use of alternative fuels for the transport sector. The plan also aims to scale-up energy efficiency investments in both private and public sectors to generate more energy savings as well as envisioning to accelerate the development and production of indigenous fossil fuels to further curb the country's energy demand. It also aims to climate-proof the energy system to help ensure they continue to provide energy services under all impacts of climate change. Considering factors such as a 10.0 percent target energy savings across all economic sectors – transport, industry, residential, commercial and agriculture; an increase in the number of Compressed Natural Gas (CNG)-fed buses and possible introduction of CNG taxis, electric vehicles; and higher application of biofuel blends (biodiesel and bioethanol), the Energy Department has also simulated the energy needs of the country over the next 20 years. Prior to the publication of the PEP, the Energy Department is set to conduct a nationwide consultations and Information, Education and Communication activities to inform the energy stakeholders. The first consultation for the Visayas will be held in Tacloban City for Region 8 on November 7, Director Labios informed. For Region 7, the consultations will be held in Tagbilaran on November 15, while for Region 6, it will be held in Roxas City on November 22. Recognizing the fact that different island groups have unique energy issues and concerns, the DOE will be drafting energy plans for Visayas, North and South Luzon. TABANGO, Leyte – Some 61 participants of the Youth Leadership Summit held at Tabango, Leyte were cited future leaders by the newly installed commander of Ormoc based 802nd Infantry Brigade during the closing ceremony on Wednesday, October 31, 2012. Col. Rafael C. Valencia who took over command of 802nd Infantry Brigade on Sunday, October 29 was guest of honor and speaker on the fourth Youth Leadership Summit facilitated by the 19th Infantry (Commando) Battalion and DepEd Alternative Learning System in the province of Leyte this year. Col. Valencia was amazed on how the participants were transformed in just three days of leadership and team building activities. In his message, he stressed that peace should be nurtured from the youth being the hope of the nation. He likewise commends the untiring support of the LGU Tabango and the perennial backing of DepEd Alternative Learning System to 19IB. The 19th Infantry (Commando) Battalion under Lt. Col. Joel Alejandro S. Nacnac had gone through intensive inter-agency coordination prior to the conduct of the Youth Leadership Summit. 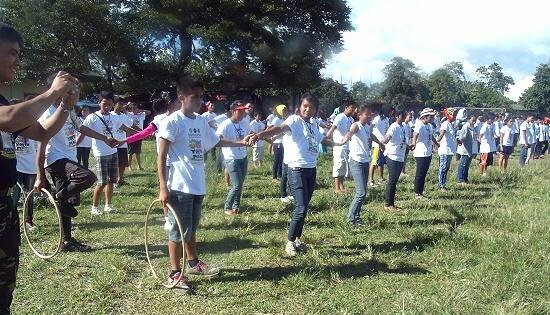 Since he assumed command of 19IB, four Youth Leadership Summits had been conducted in the province of Leyte. “I hope that the participants we have today will see themselves working for peace and development in their communities”, Nacnac deliberately stressed. TACLOBAN CITY – The Bureau of Foods and Drugs of the Department of Health in Eastern Visayas has recently stated the conduct and inspections of groceries and malls in Tacloban City in order to monitor and recall Korean noodles contaminated with Benzopyrene from the local market. Mr. Francis Germano of BFAD 8 said that BFAD OIC Baby Castillote and Ms. Delia Pestano went on an inspection mission on October 31, in compliance with the Philippine government’s product recall to six Korean Noodles products found by the Korean FDA to contain Benzopyrene, a chemical with carcinogenic potential. The list of identified noodle products are: Nongshim Neoguri (Hot) with expiration dates for final products of 12.10.11 and 12.11.11; Nongshim Neoguri (Hot) Multi. Expiration dates: 12.10.11 and 12.11.11; Nongshim Neoguri (Mild). Expiration Dates: 12.10.28 and 12.11.17; Nongshim Big Bowl Noodle Shrimp. Expiration Dates: 12.11.4, 12.11.29, 13.1.10, and 13.1.30; Nongshim Saengsaeng Udon Bowl Noodle. Expiration Dates: 12.9.30 and 12.10.22; and Nongshim Saengsaeng Udon with Expiration Dates: 12.8.28 and 12.10.8. These Korean noodles were recalled by the Korea Food and Drug Administration (KFDA) on October 25, 2012. Meanwhile, FDA has conducted tests to ensure if the noodles or ramen, identified to be manufactured by Nong Shim Co. Ltd., are really contaminated with the said compound. This was after the Korean Food and Drug Administration (KFDA) ordered pullout of these products from their market shelves due to contamination of benzopyrene. After several tests which proved that the noodles were contaminated with the cancer-causing compound, the FDA orders immediate recall of these products from Philippine market. The BFAD called on the public to refrain from buying the products and to report to the BFAD if these brands are still in the market. For those who have bought the products, they are advised to dispose of them as they are not fit for consumption. The US EPA classifies benzopyrene as a probable human carcinogen based on studies in several adult animal species demonstrating that the substance can increase the incidence of tumors. 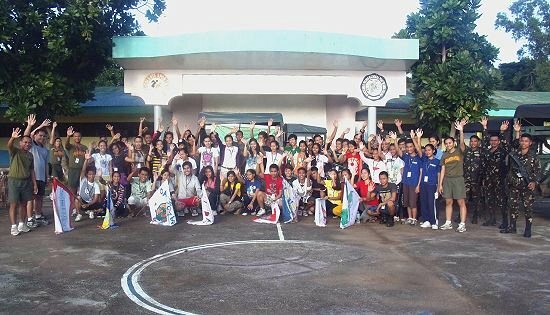 ORMOC CITY – A total of 93 juveniles from the villages of Cabintan, Gaas, Liberty and Lake Danao this city has successfully completed the three-day Youth Leadership Summit on Sunday, October 28, 2012. The summit which was held at Eastern Visayas State University was facilitated by 19th Infantry (Commando) Battalion and the DepEd Alternative Learning System with the sponsorship of the Rotary Club of Ormoc City. Majority of the participants are out of school youth while others are officials of the Sangguniang Kabataan. In his speech during the opening ceremony on October 26, Lt. Col. Nacnac, commanding officer of 19IB, emphasizes the vital role of the youth in the community and as future leaders of the country. “The summit is an ideal training for the youth to discover and enhance within themselves their leadership skills”, Lt. Col. Nacnac said. Series of team building activities and lectures such a drug awareness, insurgency awareness, community policing, health and sanitation were being tackled by resource speakers coming from the city government of Ormoc, PDEA 8, Regional Public Safety Battalion 8 and Gawad Kalinga. Lt. Col. Nacnac likewise expressed his gratitude to the Rotary Club of Ormoc City spearheaded by Mr. Wesley Noel O. Chu, the club president and Mr. Peter Rodriguez, the district governor. On the other hand Col. Emmanuel G. Cacdac, the acting commander of the 802nd Infantry Brigade who was guest of honor and speaker during the closing ceremony lauded the effort and sponsorship of the Rotary Club of Ormoc to the joint venture of the 19th Infantry (Commando) Battalion and DepEd Alternative Learning System. Lt. Col. Nacnac is looking forward that the YLS proposals submitted by the 19th Infantry (Commando) Battalion to the different LGUs in Leyte will be approved within this year. CAMP SEC. RUPERTO K. KANGLEON, Palo, Leyte – Even with the demanding security preparations to ensure a peaceful “undas” in the region, policemen in the field continues with their usual law enforcement duties with the arrest of 3 drug suspects in a coastal town in Samar recently. “While we are busy with our preparations to make sure people will have a peaceful visit to their departed loved ones, we will continue our normal functions in enforcing the law and arrest criminal offenders”, Police Regional Director PCSupt Elmer Ragadio Soria said. Soria informed that joint elements of Regional Special Operations Group 8 (RSOG 8) and Samar Police Provincial Office led by Police Superintendent Joseph N. Pensotes, conducted buy-bust operations and implementation of search warrant in Villareal, a coastal town in Samar, resulting in the arrest of 3 drug suspects. At about 12:05PM of October 30, at Brgy. Miramar of said town, one Engr. Arlando Arcebuche y Solis alias Allan, 40, was arrested in a buy-bust operation by the above police team. Afterwhich, the team implemented Search Warrant issued by Hon. Janet Cabalona, Presiding Judge, Regional Trial Court Branch 31, Calbiga, Samar for violation of Section 11 & 12 of Art. II of Republic Act 9165 docketed under Search Warrant No. 2012-3 at his residence situated at the same barangay which resulted to the seizure of 4 heat sealed plastic sachet containing white crystalline substance suspected as “shabu”; cash money amounting to P2,000.00; and 2 pieces P200.00 bill marked money with SN LE393781 & HM600538. The search was conducted in the presence of Brgy. Chairwoman Neriza Mustacisa. Earlier, at about 11:55PM of October 29, same police team conducted buy-bust operation at the vicinity of Barangay Tayod same town that resulted to the arrest of one Liberato Geli y Jerusalem, 42, married, jobless and a resident of said village resulting in the recovery of one heat sealed plastic sachet containing white crystalline suspected as shabu; P300.00 cash and one P200.00 bill marked money with serial number KF2138095. Also arrested was one Rey Roma y Geli, 38, married, farmer and a resident of Barangay Cambaguio, Villareal, Samar and recovery of one heat sealed plastic sachet containing white crystalline suspected as “shabu”; cash amounting to P500.00; and one P100.00 bill marked money with serial number AW715929. Soria added that drug charges were already filed in proper court against the suspects. “While people are paying respects to their departed loved ones, other unscrupulous individuals also continue with their illegal activities. We are warning them that PRO8 will continue to go after them and bring them to courts to face the consequences of their wrongdoings”, the Regional Director ended. MANILA – Europe is interested in developing an air safety agreement with the Philippines once the European Union (EU) ban on Philippine air carriers is lifted, Vice President Jejomar C. Binay said. Fresh from a 15-day visit to Belgium, Luxemburg, the Vatican, and Israel, the Vice President said he had a chance to meet with European Commission (EC) Vice President and Commissioner for Transport Siik Kallas during the 7th European Development Days (EDD) in Brussels to discuss the current EU ban on Philippine air carriers. “I informed the commissioner that the Philippines had sought technical assistance from the French government to improve air safety standards, and that Philippine Airlines, which is now under new management, had just ordered 54 Airbus aircraft in line with its re-fleeting program,” Binay said. The Vice President added that he assured the commissioner that the government was taking the air carrier ban issue very seriously and was already in the process of instituting critical reforms to improve the country’s air safety standards. “I even mentioned the fact that the Philippines would be receiving an ICAO (International Civil Aviation Organization)-Coordinated Validation Mission on October 24 to 28 to assess the improvements made thus far,” he said. Binay also clarified that the ban applied to both EU and non-EU carriers. “The commissioner said these bans were not meant to discriminate against non-EU carriers since European carriers were not immune from the same bans if they failed to meet the EU’s strict air safety standards,” the Vice President said. The EC banned Philippine carriers from operating in all 27 member-states of the EU in 2010. According to Philippine Airlines, the ban was caused by the United States Federal Aviation Administration’s (FAA) decision in January 2008 downgrading the Philippines’ safety rating to Category 2 and “significant safety concern” findings by the ICAO in November 2009 against Philippine aviation safety regulators. There has been no commercial flight by Philippine-registered carriers to Europe since 1999.